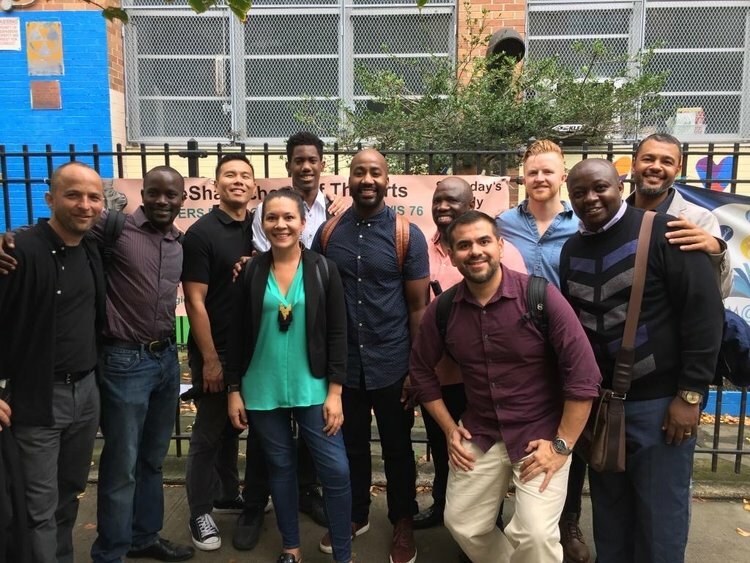 Church planters from around the globe gathered in New York City in October this year for the International Intensive, City to City's training program for those starting churches in global cities. This year City to City Australia sent Lawson and Marella Hannaford from Adelaide to take part and join with the other 22 participants from countries including Lebanon, Brazil, South Africa, Mexico, Kenya, Uganda, Scotland, Czech Republic and Italy. "Redeemer Presbyterian hosted the intensive at their shared offices with Redeemer City to City downtown on Manhattan Island. We were joined by church planters and their wives from all over the world including Africa, Europe, South and North America and the Middle East. My wife and I were so encouraged to see people with hearts for gospel movements across the world, held together by unity in Christ and passion to reach our cities through church planting. 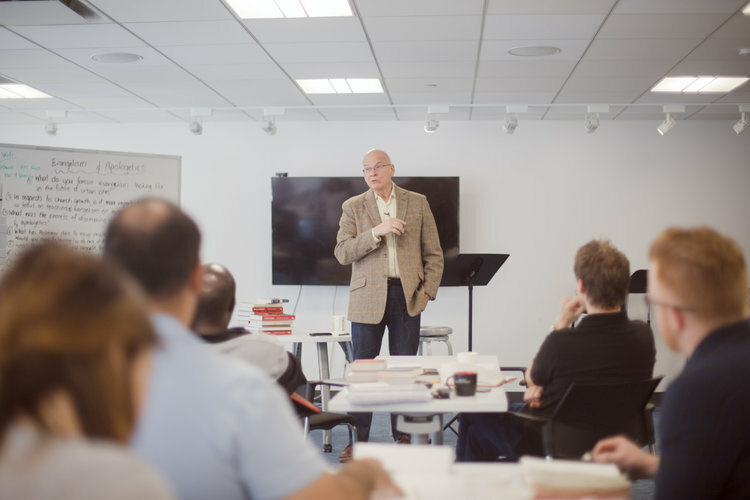 The intensive is magnified by its location in New York which seems like every culture and city in the world has come to live in one place, so you really begin to get the idea of how God loves cities and wants us to reach cities with news of His Son. We were also blown away by the quality of the training and the trainers, this truly is world class and yet emphasising that we take the gospel seriously in our own lives before we take it to the world. What a blessing! We are truly thankful to Christ and City to City for our time at the 2017 International Intensive." 2017 also marks ten years since City to City's first International Intensive. When the training first began in 2007, no curriculum existed, and there was simply no easy way to get the training out into the field. So Al Barth, Vice President Global Catalyst at Redeemer City to City, had the idea to bring the global church planters to NYC. CTC would give them key ideas to help equip them to plant and sustain urban churches. Grace City Church are excited to announce that in early 2018, they will be launching in the heart of Chatswood. 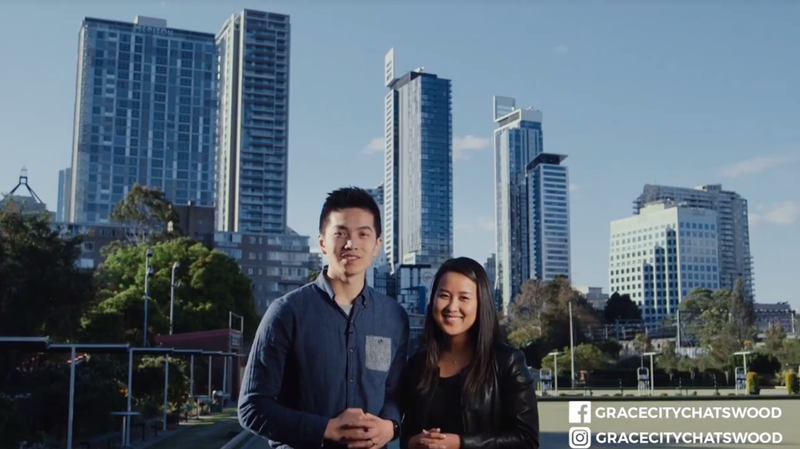 In the lead up to the launch, they have just released their Vision Film on how they hope to see Chatswood and its surrounding areas transformed by the renewing power of the Gospel. Watch the film online now. You are also invited to join for their first public Vision Night coming up next month. This is an informal evening where you can hear the vision of the church, meet some of the team, and explore ways in which you can support this new venture in Chatswood. Find out more about affiliated church plant Grace City Chatswood on our Church Planting page. Grace City Church Chatswood is an emerging church plant with a vision of being a church "shaped by God to shape the city". Led by affiliated planter and City to City International Intensive alumnus, Adrian Tam, last month Grace City Church Chatswood held their first Vision and Prayer Night in a café in the heart of Chatswood. Close to 50 people of all ages attended the event, which was a tremendous encouragement. We began the night with a time of worship, and given the amount of foot traffic that goes right past the cafe, there were many curious onlookers who peeked their head in to see what all the commotion was about. During the evening, the Lead Elder of Grace City Church Dee Why shared about the journey God has brought them on over the past few years. After a time of prayer, Adrian spoke on the story of the five loaves and the two fish from Luke 9:10-17, challenging those present to consider their provisions, and how God might want to take them, multiply them and use them to feed the multitudes of spiritually hungry people in Chatswood. It was incredibly exciting and invigorating to see a new community of people forming and rallying around the vision of seeing a new work of the Gospel planted in the heart of Chatswood. Please pray for Grace City Church Chatswood as they embark on this new venture and prepare to commence their weekly launch team meetings. Grace City Church Chatswood is a church plant of Grace City Church Dee Why. They are seeking to launch publicly in February 2018. Last month, church planters, church-planting spouses, network leaders and returning alumni joined together for the fifth City to City Asia Pacific (CTCAP) International Intensive in Taipei, Taiwan. City to City Australia sent planters Jeremy Tan (Redemption Hill, Sydney) and William and Lay Huan Tjoa (mosaiXchurch, Sydney) to take part in the training program held at Star City Church Bethlehem (known as Star Church). Over 100 people were in attendance representing countries including Japan, India, Australia, Dubai, Philippines, Taiwan, Thailand, Singapore and Hong Kong. Previously held over four weeks, the program was modified to a two-week configuration to better suit those with jobs and families. This also forced CTC trainers to be more efficient, prioritise the material and contextualise for Asia Pacific. Katie Ellis, Program Manager for Asia Pacific and Latin America, says, “We usually start with theology, then go into discipleship and then practical ministry concepts. This year we started off with four days of gospel renewal—being shaped by God, dealing with idols of the heart, being continually renewed. This is so important". "It was a deeply transformative time for me personally, as we spent lots of time learning how to bring the gospel to bear on our own hearts in a way that addresses the deep-rooted idols of our hearts, so that we never stop experiencing the power, reality and joy of the gospel. I loved this emphasis on the church planter first before we even started talking about the ‘how to’s of church planting. We were also able to work through some of the practical aspects of church planting such as discipleship, evangelism, leadership development, budget and finance, and preaching, which sharpened my own thinking on what to focus on next in our own context at Redemption Hill Green Square." In addition: two groups of church-planting spouses participated in Parakaleo, which William says, "was one of the best things that has happened for my wife and other forgotten and unrecognised ministry partners"; some CTCAP network leaders were there to shadow and learn, so they can provide this valuable training in the future; and alumni returned for a master class. William continues, "the encouragement from seeing so many others committed to planting disciple-making churches that plant disciple-making churches has refuelled my passion to persevere despite the obstacles". Please pray that God will multiply the fruit of this intensive and see more churches planted in the Asia Pacific region, and many, many more coming to faith in Christ. What if leadership wasn't really a gift?